They must really, really like golf. If it were me, I’d be doing anything else, like fleeing. 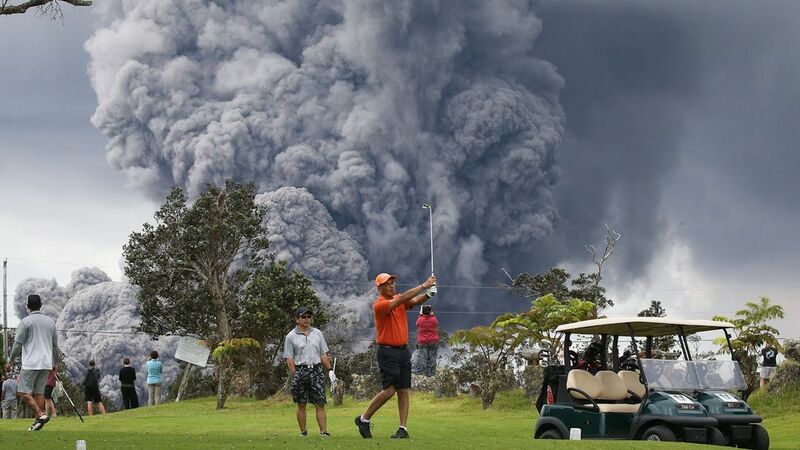 This photo shows two golfers at Hawaii’s Volcanoes National Park on May 15, 2018. While everyone else is looking at the spectacle of nature, this guy is playing through. May 19, 2018 in Climate News.